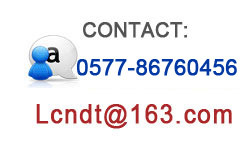 LCNDT Corp. established in 1992, is a manufacturer of LED X-Ray Film Viewers, LED Black lights, Densitometers, Medical LED Film Viewers and other X-ray Accessories in China. We have developed LED Film Viewer FV-2008 in 2008, it may be the First LED viewer in the World. With its super high luminance and long lifetime, it receives popularity all of the world quickly. In the following years, we have launched Portable Viewer FV-2009, large screen Viewer FV-2010 and Intelligent FV-2009T with build-in densitometer. Thanks to our mature LED Technology, we have developed LED Black Lights/UV Lamps in 2013. The Portable LED Black Light UV-100/200 can be battery powered, no need of warm time. We firstly adopt PMMA Lens which is resistance to fall of instead of weak glass lens, it will firmly support your inspection works. Additional we manufactory Pentameters (Image Quality Indicators) according with ASTM E747, EN 462. Besides, we supply Lead Characters, Film Holders and Film Cassettes. All of these products can be specify by your particular request. We are always ready to offer you Best Products with Best Prices. A wonderful and successful exhibition in Munich.